Oliver (left) was classically trained in Paris, France. He moved to Colorado Springs in 1999 under contract to work at MariGold Cafe & Bakery and has traveled to L.A. and New York to work with some of the best chefs in some of the most unique areas in the world. 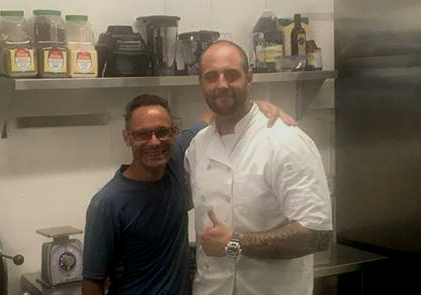 Christian (right) is the founder of the highly-reviewed A Bronx Tale pizzeria, located in Lantana, Florida, between Miami and Boca Raton. He learned to make authentic New York pizza while growing up in New York City.